Make your money work harder than ever with share investing If you’ve always wanted to invest in shares, but you’ve never known where to start, look no further! 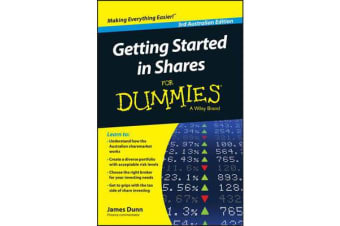 This new edition of Getting Started in Shares For Dummies reveals in plain English the investing secrets you need to know ? how the market works, how the stock exchange operates, and what brokers really do. In no time, you’ll find out how to pick the best shares and diversify your portfolio, minimise your risk and maximise your returns, and reduce your capital gains tax bill. The world of share investing can seem intimidating to the uninitiated, but it doesn’t have to be. 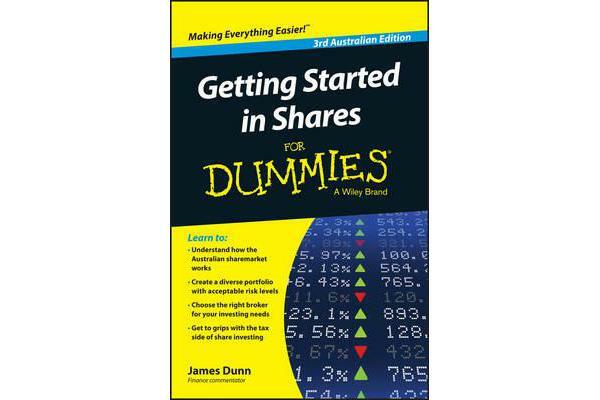 Free of confusing jargon and packed with practical advice, this hands-on, friendly guide helps you get to grips with developing an investment strategy, assessing your risk, buying and selling shares, working with brokers, understanding taxes, and so much more. Plus, you’ll even learn about ten great investors and their strategies ? and ten things you should never, ever do. Find out how the Australian Securities Exchange (ASX) works Develop your own successful share investing strategy?and know how to assess potential share investments Analyse the share market and track trends to make informed choices and grow your wealth Realise the tax implications of share ownership and understand how holding shares affects your tax liability If you’re ready to take your first steps towards investing in the share market, Getting Started in Shares For Dummies will help you build the successful share portfolio you’ve always wanted.